Did you know only one woman has won for best directing in almost 100 years? camera (Fox Searchlight) Melissa McCarthy and Marielle Heller are pictured on the set of "Can You Ever Forgive Me?" When you look at the 2019 Oscars class of best director nominees, you have Spike Lee, Pawel Pawlikowski, Yorgos Lanthimos, Alfonso Cuaron and Adam McKay. They are all deserving of praise and acclaim for their films this past year, but not a single one is female. You may think this might just be a down year for women behind the camera. It's not. Since the Oscars began almost a century ago, just five women have been nominated for Best Director, with only Kathryn Bigelow taking home the award for her film "The Hurt Locker" in 2009. Last year Greta Gerwig was nominated for "Lady Bird," but lost to Guillermo del Toro. Melissa Silverstein, the founder of Women and Hollywood, a site dedicated to gender diversity and inclusion in the film industry, told "GMA" that it's important to look at all the factors behind this glaring hole when it comes to the Oscars. She said for someone like "Can You Ever Forgive Me?" 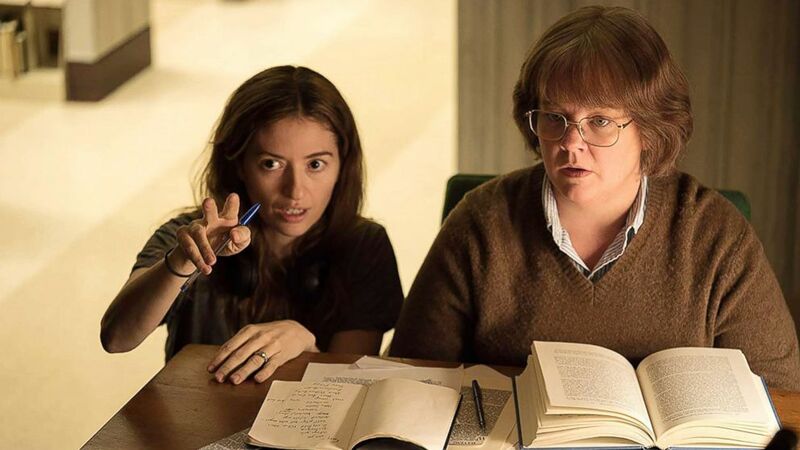 director Marielle Heller, who had two of her stars (Melissa McCarthy and Richard E. Grant) nominated this year, she just wasn't able to break into the Oscars conversation from the start. And without this entry into the discussion, it once again becomes a self-fulfilling prophecy of the Academy going with the known entities. 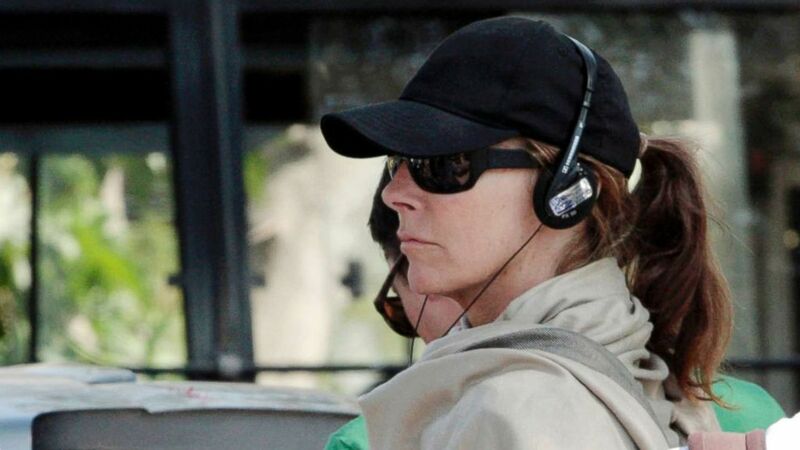 (Anil Dayal/AP, FILE) Oscar winning director Kathryn Bigelow, center, stands on the sets during the shooting for her film about Osama bin Laden in Chandigarh, India, March 2, 2012. Aside from Heller this year, you also have "Leave No Trace," directed by Debra Granik, that is "literally" 100 percent on Rotten Tomatoes, Silverstein pointed out. The indie film made less than $8 million domestically and the Oscars campaign for that film was almost nonexistent. "Who is distributing the movie? Do they have enough money to run an Oscars campaign and where are the critics on this?" she asked. "It becomes this vicious cycle, like 'Why are we going to invest so much money in this if it's not going to get noticed?' I don't think that's a good enough answer." This glaring absence of women in the best directing category, plus a recent study from the Annenberg Inclusion Initiative, is what has organizations like Time's Up and Women In Film taking action. Of the top 100 grossing films of the past decade, women represented just 4 percent of the directors, Annenberg reported earlier this year. With this stat in mind, stars flocked to the 4 percent challenge, a move by Time's Up and the Annenberg Inclusion Initiative to increase the number of female directors in Hollywood in the next 18 months. "Crazy Rich Asians" producer Nina Jacobson, Angela Robinson, Franklin Leonard, Paul Feig and Amy Schumer were also among some of the earliest members of Hollywood to commit to the challenge. Jennifer Lopez even took to social to announce a woman would be directing her latest film. Kirsten Schaffer, executive director for Women In Film, Los Angeles, said the 4 percent statistic and lack of female directors nominated for an Oscar are linked. "One of the findings from research we’ve conducted with Sundance Institute and USC Annenberg Inclusion Initiative is that a disproportionate number of films directed by women get a smaller theatrical release and smaller marketing budgets, then films made by men," she said. 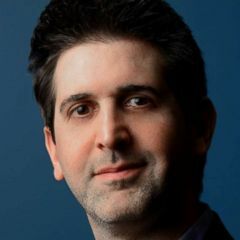 Much like what Silverstein said, Schaffer added, "This has a direct result on awards campaigns because the films aren’t as widely seen and awareness isn’t as high." In addition to the 4 percent challenge, Women In Film has another endeavor to up female representation behind the camera. "In the next few months we are launching ReFrame Rise, a sponsorship program designed for female directors who are poised for directed, big-budget features and television pilots," Schaffer said. "We are selecting six to eight women and connecting them to decision makers in the industry who will work with their existing team to help get them hired. Our goal is to move beyond [the] 4 percent." #ICYMI: Did you know that @netflix has a new category called Directed by Women?? We’re loving this amazing tool to find and celebrate work by female creators! Happy watching! ?????? But it's not just about big-budget films for Schaffer, as she highlights organizations that are trying to get minority directors behind the camera to get even more diverse stories out there for moviegoers. "We have a program called Insight, where we’ve partnered with Chicana Directors Initiative and Ghetto Film School to connect emerging filmmakers more deeply in the film and television industry," she added. "We also work with the Mayor’s Evolve program to support paid internships for high school and college-age girls from underrepresented populations in Los Angeles." In fact, Schaffer said, "I’ve heard from the deans of almost every high-profile film school that 50 percent of the students are female -- and many are women of color -- so the problem isn’t young women’s interest or ability." The issue to getting to the level of a Bigelow or a Heller, let alone be nominated for an Oscar is "the bias they face when they enter the field," she said. Meanwhile, mentorship is key for young female directors or women in any technical field in Hollywood like cinematography, sound or film editing. "I hear from every successful camera, lighting or sound person, that someone (often a man) mentored them," Schaffer added. "Visibility is important; the more young women see accomplished women in camera, lighting and sound, and are mentored by them, the more women will excel." Time’s Up Entertainment Executive Director Nithya Raman said the 4 percent challenge is not just a response to the lack of nods for women in directing, but in all technical and behind-the-scenes roles. We're all in! 30+ #ReFrame Ambassadors have committed to the #4PercentChallenge to announce a project with one female director in the next 18 months. Together with @TIMESUPNOW @Inclusionists @reframe_project & more, let's kick down the doors for female directors! "I think it's really unfortunate," she said. "There are a number of female-directed films this year that were ignored in the discussions around awards. But the broader problem is there aren't enough women directing films in contention." One way Raman and Time's Up are working to make these necessary changes is by focusing on the critics and reviewers of certain films they promote. Aside from the budgets and campaigns, Raman said the media coverage is also a huge part of helping to move these crucial projects along. "Both Sundance and TIFF committed to at least 20 percent of their accreditations going to critics from underrepresented backgrounds," she said. "We have a database of more than 440 critics now and this year, we'll be working with publicists, studios and marketing folks and with talent to say, 'Can we be more thoughtful and intentional in terms of who we reach out to, who we invite to screenings?'" She said that when you have more than 80 percent of critics that are male and white, films that are being made from different backgrounds might not be getting a fair shake. "How can we make this whole ecosystem look different going forward?" she added. Rotten Tomatoes, one of the industry leaders in aggregating film reviews, has also made similar strides, expanding its critics base over the past few months to be more inclusive and foster diversity. Another way Time's Up is trying to reach young women and inspire them is via the Women in Production group that works primarily in behind the lens roles and how to tell more women about these crucial jobs that have historically gone to men. "How do we bring them into the fold? How do we make sure that the barriers that they are facing like getting into unions and getting work are eliminated? And I'm hoping that we'll be able to announce some initiatives on this front sometime this year," she said. There is hope on the horizon though, as soon as next month. With "Captain Marvel" hitting theaters with Brie Larson's empowering hero in front of the camera and Anna Boden co-writing and directing the blockbuster, this is certainly a film that can inspire and change millions of lives. "Yes!" Schaffer exclaimed. "It took over 100 years to build a male-dominated film & television business, it is going to take time to reach gender parity. We are seeing change happen, yay 'Captain Marvel,' and the more that films with women at the center and at the helm that bring in lucrative box office the more women will get hired to direct." Raman agrees and added a more technical sign of positive growth. Looking back at the Annenberg Inclusion Initiative study, Raman noticed another statistic that was a sign of hope. She said that from 2017 to 2018, the number of black directors more than doubled. What that shows Raman is that change can happen and happen fast. With #MeToo, Time's Up and others, maybe the growth of women behind the lens can be just as fast. "If we as an industry commit to being more thoughtful about who we are choosing to work with, that change is really in our hands," she said.